To Reserve your spot, please register 30 days before the camp starts with a $50 deposit. 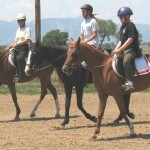 This camp is tailored for the young rider to learn the basics of horsemanship and riding in an atmosphere of creative fun. 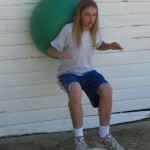 Each camper adopts an imaginary horse. As the week unfolds, the campers learn all about their pony’s conformation, tack, sports that the pony wants to do and how to care for their pony. 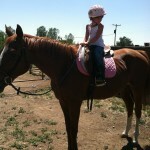 Each camper rides a real school horse every day and develops equestrian skills. 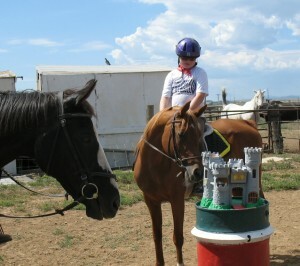 Each camper brings a sack lunch and at the end of each day has a lunch with the horses. Journey to the fantasyland of “Perloo” and develop new powers and fight imaginary creatures while learning horsemanship and riding in an atmosphere of fun and games. 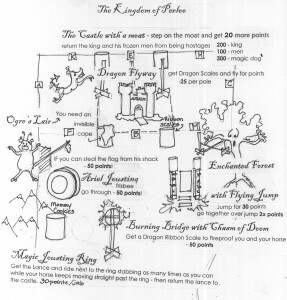 There are dragons, ogres, a castle with a king, enchanted forests and much more! Come develop your horsemanship, develop steadfast friends and save the kingdom of Perloo! Come explore the romantic equine! 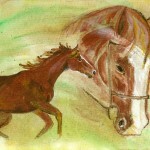 In the first camp, we sketch from live models and study the horse’s structure and movement by observation and feel. There are demonstration riders to sketch as we discuss the partnership of horse and rider. In the second camp, we add color and texture to our sketches! In this camp, we look at the magic of watercolor. 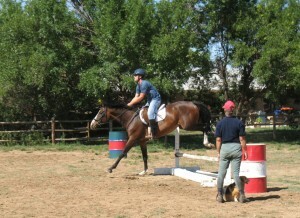 Both of these courses will be taught by a professional artist and rider. 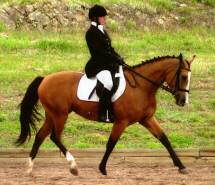 Fitness for You and Your Horse! We establish a baseline of fitness at the start of each camp and then through a program of stretching, strength, flexibility and stamina exercises, we lose unwanted pounds and develop those rider muscles. 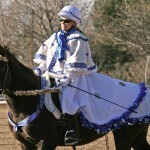 Then our horses get to join in the fun. We explore their fitness, develop exercise plans and assess their progress through vital sign monitoring. 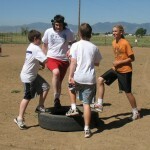 This is serious fun and sweat! Ever want to dance with your horse? In this week, we create a routine that “dances” to a piece of music! At the end of the week, we will host a party where we will raise money for charity and show off our “dance!” Come laugh and share in the fun! 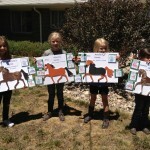 School horses are available. June 1-2, 2013 ? ? ? ? ? ?? Camps will be designed to give the participants real goals, methods and feedback on the fitness of themselves and their horses.